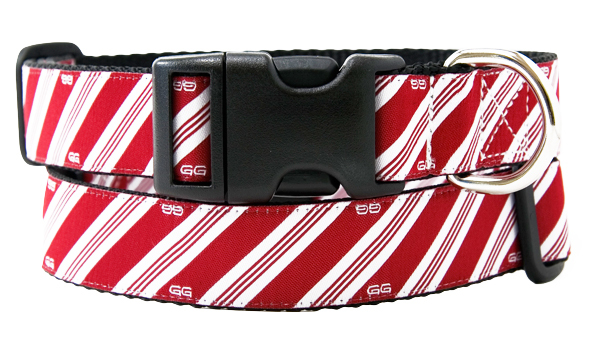 Adorable Candy Cane stripes for the holiday season. Made from durable nylon webbing with high quality nickel plated hardware. Machine wash and line dry.